More with Music: David starts with "D"
I've had a good week so far and am still enjoying this cool fall weather. Today I'm sharing a song about spelling students' names. In many of the classrooms I serve, the students are in the early stages of learning to spell their names. Some of them are just starting to recognize letters in general, so one of the goals is to recognize the first letter of their name. This skill is reviewed daily and then students are asked to find their first letter of their first name from a choice of two letters. Today's song was written to target that goal specifically. I record this song for as many students that need it and then we use real letter visuals (letter cards or the letters that come from the puzzles at the dollar store), and I also create a visual using Smart Notebook software. The first slide you see below on the left, is the slide where the student will see the first letter of their name, and the teacher can click a speaker icon on the page and the song will play. The next slide below on the right, features two letters, one correct and one incorrect, for the students first letter of his/her name. The song is inserted on this slide as well for repetition and then the student is asked to find/touch the first letter of their name. If they press the correct letter, they will hear applause (sound effect inserted), and if they are incorrect, they will hear a foghorn sound. 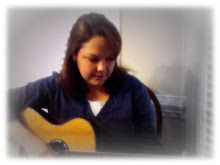 If you would like this song personalized for a student or child you are working with, please email me at morewithmusic@gmail.com Each personalized song will only cost 1.00 and I will send you the download link. Hope the rest of your week is awesome!